Courtesy of Brexit, the topic of negotiation seems to be in the news virtually every day at the moment. But the headlines make me question how we will ultimately fare once negotiations are complete. Distributive negotiation is essentially straightforward bargaining, with both parties trying to divide up something, and each party trying to ensure that they come away with the better deal. The relationship between the two parties is not of central importance. Let’s face it - are you ever going to see that market trader again, and if you do, is she likely to remember how you beat her down on price? Integrative negotiation is where both parties collaborate to try and find a solution that provides them both with a good deal. The focus is on developing an agreement that is mutually beneficial. The parties pay attention to the relationship because they are going to be working together for a long time to come. Think about it – how much trust and help can you expect from the head of a department if he feels that you deceived him by getting more resources for your own department at the expense of his? And even if we go down the route of distributive negotiation, some people have very long memories, including market traders! So our approach to negotiation comes at a price; not just the price we finally agree upon and pay. Given that mainland Europe isn’t going to suddenly disappear off the globe after Brexit is complete, you would assume that the negotiation approach would automatically be integrative. But when you look at the language used in the newspaper headlines, do you get the sense that our long-term relationship is deemed important? There are phrases like “going into battle”, “not pulling our punches”, “meeting all our demands” etc. Naturally, phrases like “taking a considered and collaborative stance” and “preserving our partnership by exploring new approaches” are not the kind of headlines that would sell newspapers, so perhaps the rhetoric espoused by the media is not actually reflective of ministers’ true actions. Well that is the hope I am clinging to. But what if some ministers enter into those negotiations more concerned about how they will personally appear at the end? Will some of them be focused on ensuring they “live up to” the media’s rhetoric so as to not be perceived as weak, or “letting Britain down”? As leaders, when we enter into negotiations, what expectations do we take in with us? What expectations do other people have of us? Are we clear about our objectives – for ourselves, for our organisation, for the relationship with the other party? And are we clear about which ones are the most important? Maintaining a clear focus on what is most important can be a challenge when things get difficult and emotive, or when we haven’t reflected on other peoples’ expectations of us that may be unconsciously affecting how we act in a negotiation. We don’t always act alone in a negotiation. These days, when large deals are on the table, we often work in teams. I once tried to haggle for some crockery that my mother wanted. I pride myself on being a firm haggler. But I was totally ineffective because my mother was stood behind me making it patently obvious from her body language and ‘helpful’ comments that she most definitely wanted that particular set of crockery. The market trader knew that we were not going to walk away without buying it. And buy it we did, with hardly anything knocked off the price. So when we negotiate in teams, do we know how to read, not only the other party, but also each other? Do we know when and how to step in and support each other? Do we recognise when we should step away for a moment to confer? Are we all clear on the limits and boundaries within which we are negotiating? And do we know how to react when we sense that a colleague is crossing one of those boundaries? 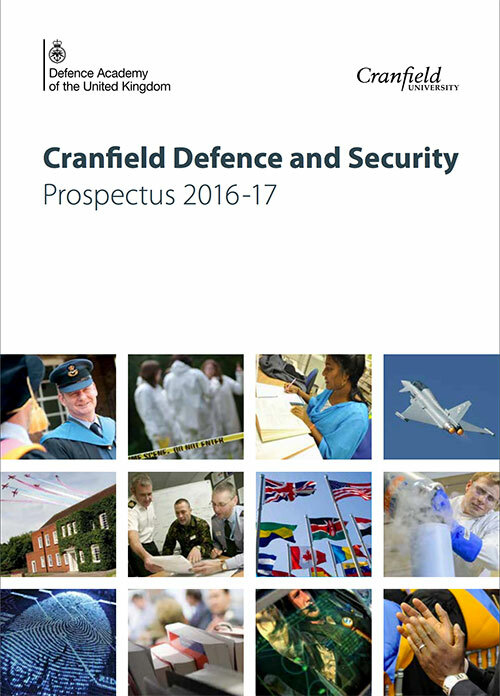 At Cranfield we have created a learning and development process for enhancing organisational capability when negotiating strategically in teams. This will enable you and your colleagues to step into a room, and work in partnership to create successful deals that also preserve crucial long-term relationships.